"If someone proved to me that Christ is outside the truth and that in reality the truth were outside of Christ, then I should prefer to remain with Christ rather than with the truth." Then a messenger burst upon this scene, saying the Tsar had decided to spare their lives (as it turned out, the mock execution had been part of his punishment). When the pardon was announced, two of the prisoners went permanently insane; another went on to write Crime and Punishment and The Brothers Karamazov—two of the greatest novels in Western literature. The experience was perhaps the most dramatic but not the only crisis of Dostoyevsky's mercurial life. Though a devout Christian, he was never a good one; though a brilliant writer, his works remain technically unpolished. And yet, his insights into the human heart—perhaps because his own heart was so troubled—remain some of the most profound in literature. Dostoyevksy's father, a lecherous and cruel man (he was eventually murdered by his serfs), had marked out for him a career as a military engineer. But Dostoyevsky longed to take up the pen, and after completing his degree in 1843, he resigned his commission to commence his writing career. His first novel, Poor Folk, won praise from Russian critics, who hailed him as the great new Russian talent. After the mock execution, Dostoyevsky was sent to a Siberian labor camp for four years for his involvement in "revolutionary activities." After his release, he wrote The House of the Dead, based on his brutal camp experiences. The novel initiated the Russian tradition of prison camp literature. In spite of his literary success, Dostoyevsky managed to bring his life to ruin. He had become addicted to gambling, and had lost all his own money and all that friends had loaned him. He fervently believed in a will to win: "In game of chance," he once wrote, "if one has perfect control of one's will … one cannot fail to overcome the brutality of chance." Chance was brutal to Dostoyevsky, and in order to stave off his creditors, he signed an unjust contract with a conniving publisher who sought to exploit Dostoyevsky's situation and lack of discipline: Dostoyevsky was to finish a novel by a certain date, and if he failed, the publisher would retain all the rights to all of Dostoyevsky's published work. His first marriage (which had ended with his wife's death) had been an emotional seesaw: "We were unhappy together … but we could not cease to love one another," he wrote. "The more unhappy we were, the more we became attached to each other." His subsequent marriage to Anna proved to be a stabilizing force in his life, and only after marrying her did he produce his greatest works. Crime and Punishment (which he was most of the way through when he wrote The Gambler) is about the commandment, "Thou shalt not kill." With rich psychological insight, Dostoyevsky tells the story of Raskolnikov, who murders a greedy old woman and is brought to ruin by the weight of his conscience. In The Idiot (1868–69) Dostoyevsky presents a man of Christlike goodness in a world of thorny reality. In The Possessed (1872) he critiqued liberalism's skepticism, mockery of traditional values, and neglect of the family. The Brothers Karamazov (1879–80) was his last and arguably greatest novel. Theological and philosophical themes emerge as he describes the lives of four brothers. 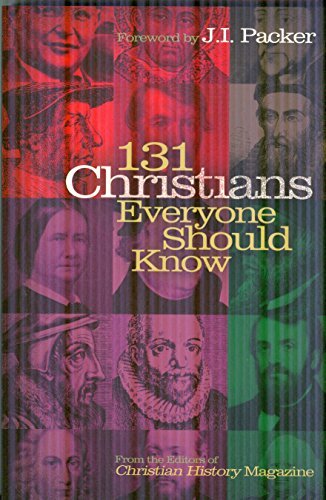 The two most memorable are Alyosha, a Christ figure who desperately wants to put Christian love into practice, and Ivan, who angrily defends agnosticism. In the chapter "Rebellion," Ivan indicts God the Father for creating a world in which children suffer. In "The Grand Inquisitor," Ivan tells the story of Christ's return to earth during the Spanish Inquisition. The Inquisitor arrests Christ as "the worst of heretics," because, the Inquisitor explains, the church has rejected Christ, trading away its freedom in Christ for "miracle, mystery, and authority." Dostoyevsky, the Russian Orthodox believer, made room for a most scathing critique of Christianity. Yet at the same time he affirms it in the character of Alyosha, who believes passionately in Christlike love. In answer to the question "What is Hell?" one of the characters replies, "It is the suffering of being unable to love." This internal war between the believer and the skeptic waged within Dostoyevsky's soul his entire life, both theologically and morally. One of Tolstoy's friends said, "I cannot consider Dostoyevsky either a good or happy man. He was wicked, envious, vicious, and spent the whole of his life in emotions and irritations.… In Switzerland he treated his servant, in my presence, so abominably that the offended servant cried out, 'I too am a human being!'" The writer Turgeniev once called him "the most evil Christian I have ever met in my life." In addition, his social and political views were often extreme. He believed that western Europe was about to collapse, and that Russia and the Russian Orthodox Church ("Christ lives in the Orthodox Church alone," he once said) would create the kingdom of God on earth. His faith, however, seemed deeply devout, if somewhat perplexing in its expression: "If someone proved to me that Christ is outside the truth," he wrote, "and that in reality the truth were outside of Christ, then I should prefer to remain with Christ rather than with the truth."